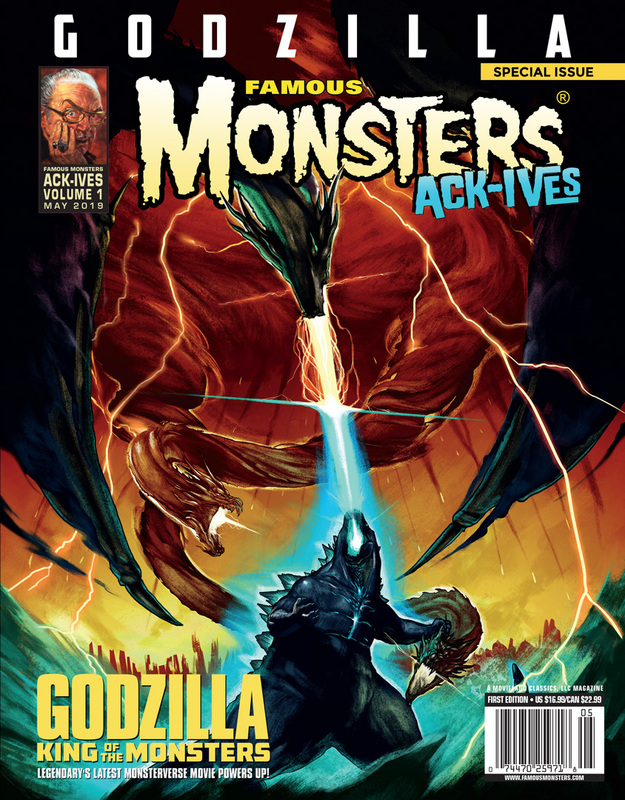 Famous Monsters has revealed a new Godzilla: King of the Monsters themed variant cover! The cover will be used on special newsstand editions of the first volume of their magazine ACK-IVES. The artwork for the cover was crafted by members of Art Machine exclusively for the magazine. In addition to the incredible art, the magazine will also include an interview with Michael Dougherty, the director of KotM. The first volume of ACK-IVES is scheduled to start hitting newsstands on May 7th. 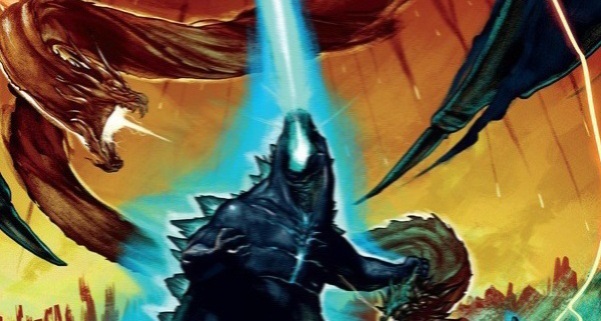 4 Fan responses to New Famous Monsters Godzilla KotM Variant Cover! At first when i first saw this, i though Rodan was on the left side but really, it's just Godzilla and King Ghidorah. No Mothra, Rodan, Sargon, or Methuselah. You know, Ghidorah being represented as a living storm here is REALLY COOL. Reminds me of the anime trilogy's take on Ghidorah, only much more visually appealing. It looks awesome, but just one quick question: Who is Famous Monsters? Just like the Art Spirits topic, I have never heard of them before, so I can't make a proper opinion on this in terms of their previous work because this is the first I have ever seen.